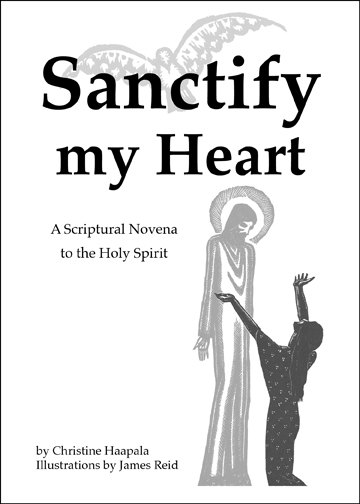 Sanctify my Heart A Scriptural Novena to the Holy Spirit Order Kindle. His Sorrowful Passion Scriptural Chaplets of Divine Mercy Order Kindle. Psalter of Jesus and Mary A Scriptural Rosary according to Psalms and Proverbs Order Kindle. 48 pages; 5" by 7"
Suffering has redemptive value when we recognize God's mighty Hand in the events and offer our day to Him. 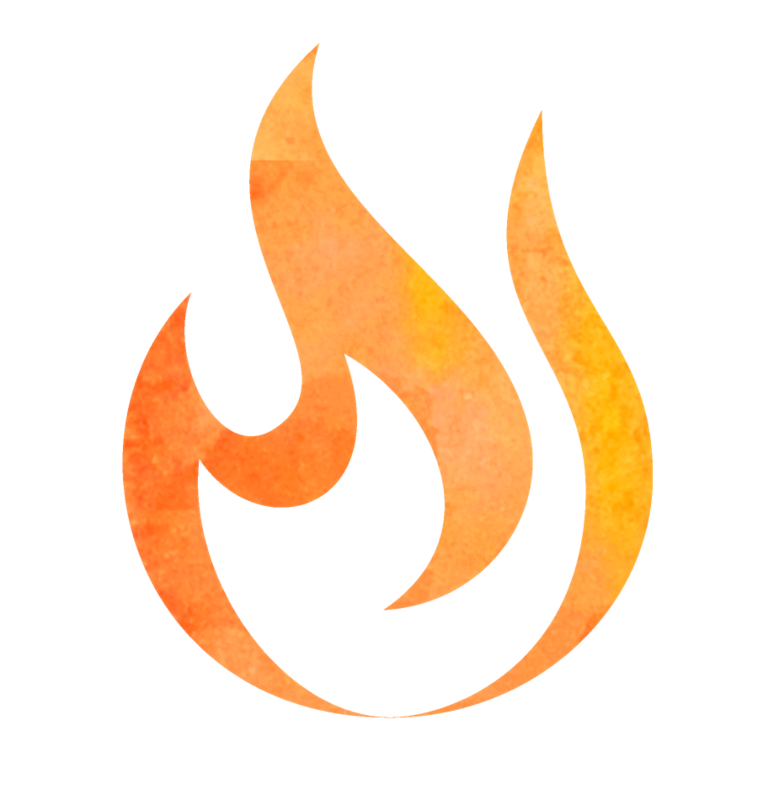 Accepting God's will in all suffering is a sacrificial prayer by sharing in the sacrifice at Calvary. Christine Haapala's tenth Scriptural prayer book encourages us to allow the Holy Spirit, the Sanctifier, to shape and mold our hearts into an imitation of the Sacred Heart of Jesus and the Immaculate Heart of Mary. Through reflective and meditative selections from Sacred Scripture, this daily journey is a call to conversion when we encounter the Theological Virtues [Faith, Hope, Love], the Gifts of the Holy Spirit [Fear of the Lord, Knowledge, Piety, Counsel, Fortitude, Wisdom and Understanding], and the Fruit of the Holy Spirit [Charity, Joy, Peace, Patience, Faithfulness, Goodness, Generosity, Gentleness, Kindness, Modesty, Self-Control, and Chastity]. Kindle Version. For more information about the Kindle Lending Library or to purchase Sanctify my Heart in Kindle Format, Order Now. This is Christine Haapala's tenth Scriptural prayer book. In her Author's Note, she "hopes and prays that through these words, you emerge from any dark valley of suffering and solitude you find yourself in [and] find solace in the perfection of the Heavenly Father, the hearts of Jesus and Mary." 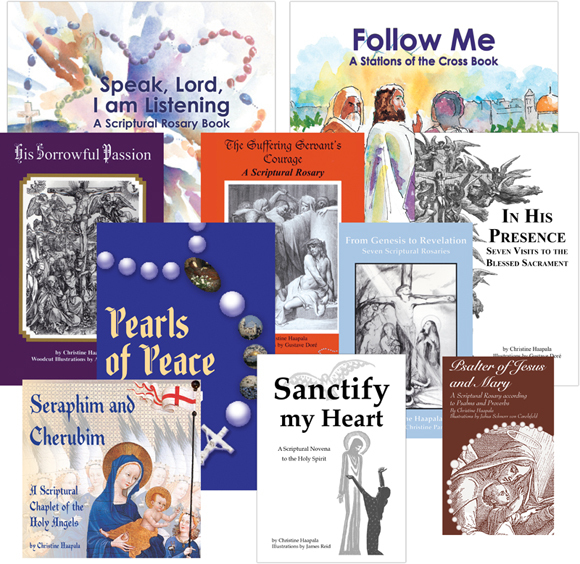 40% discount for the Complete Collection of Christine's 10 Prayer Books including her newest title - Sanctify my Heart. Pocket size (4" by 6 1/2") prayer book. This Scriptural Rosary presentation includes selections from Psalms and Proverbs with the prayers of the 20 mysteries of the Most Holy Rosary. 96 pages and includes 47 illustrations from both the Old and New Testament. Kindle Version. For more information about the Kindle Lending Library or to purchase Psalter of Jesus and Mary in Kindle Format, Order Now. "EVER SINCE Saint Dominic established the devotion to the Holy Rosary up until the time when Blessed Alan de la Roche re-established it in 1460, it has always been called the Psalter of Jesus and Mary. This is because i It has the same number of Angelic Salutations as there are Psalms in the Book of the Psalms of David. Since simple and uneducated people are not able to say the Psalms of David the Rosary is held to be just as fruitful for them as David's Psalter is for others." "For many centuries, the Most Holy Rosary consisted of fifteen decades prayed in three groups of mysteries - the Joyful, the Sorrowful, and the Glorious. 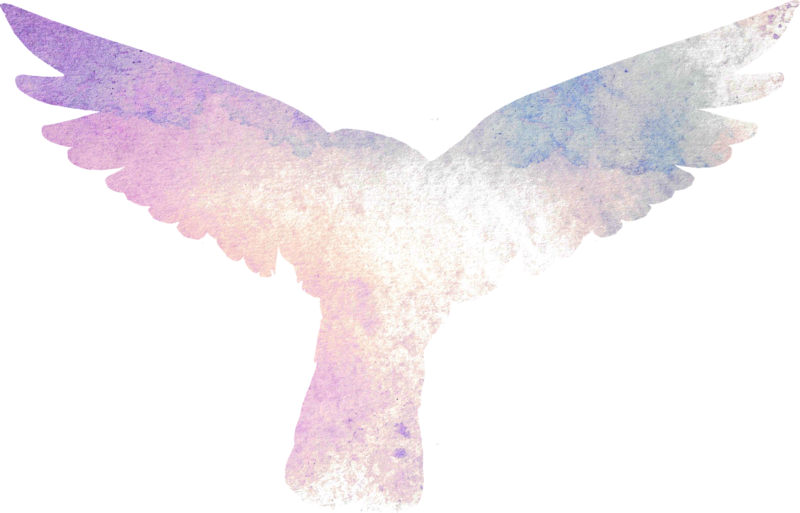 St. Pope John Paul II recommended an additional set of mysteries, the Luminous. ... For some, the addition of the Luminous Mysteries may cause concern because of the departure from tradition ... Rather we should be renewed and energized by the addition of these new Luminous Mysteries, looking forward to a revitalization of the praying of the Most Holy Rosary ... This pocketsize book includes the Psalms Scriptural Rosary from From Genesis to Revelation: Seven Scriptural Rosaries. To unveil the new Luminous Mysteries in light of Scripture, we selected meditations from the thirty-one Proverbs, the wise words of Solomon." In this prayer book, the author integrates Sacred Scripture meditations with the prayers of the Chaplet of Divine Mercy. There are two Scriptural Chaplets: one chronicles Jesus' Passion and the other features the Seven Penitential Psalms. 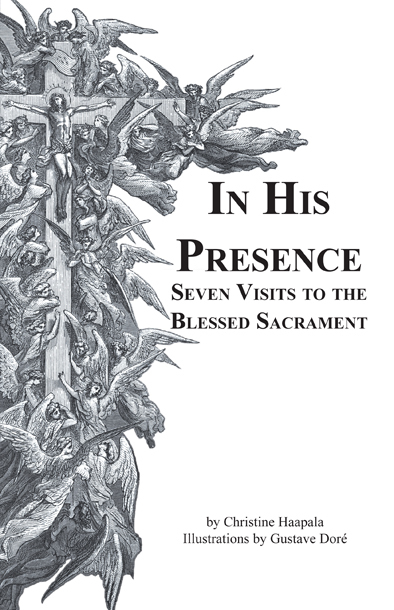 The woodcuts of the 15th century Catholic artist, Albrecht Durer, illustrate this book. Companion Book to Time for Mercy Prayer CD. Kindle Version. For more information about the Kindle Lending Library or to purchase His Sorrowful Passion in Kindle Format, Order Now.